Donner Prize-winning author Dr. David Gratzer ("Code Blue") edits and introduces this collection of twelve essays on health care reform in Canada, advocating an open-minded approach to such concepts as privatization, two-tier health care, and user fees. Gratzer has assembled a stellar list of authors who invite Canadians to question their confidence in government-managed public health. 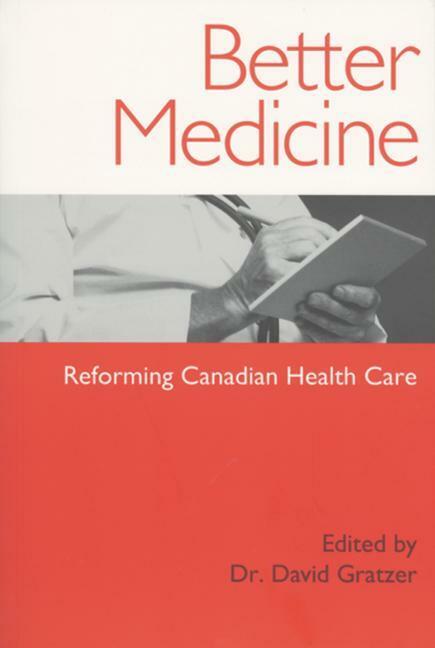 Contributors include Order of Canada member and University of Toronto professor Michael Bliss, who argues that our current problems are the result of increasingly aggressive government measures to control patients and health-care providers. "Globe and Mail" columnist Margaret Wente offers vignettes that address the day-to-day problems of health care: queue jumping, excessive waits, provider burnout, aging equipment, and the politicization of health administration. And, Vancouver-based health analyst Cynthia Ramsey places Canada's health care system in an international context. Her findings are unsettling. Other contributors include McGill economist and "National Post" contributor William Watson, former Quebec Medical Association president Dr. Edwin Coffey, former Ontario Medical Association president Dr. William Orovan, and Urban Futures Institute executive Director David Baxter. All Canadians concerned about the state of health care in Canada should read this informative and intelligent collection.